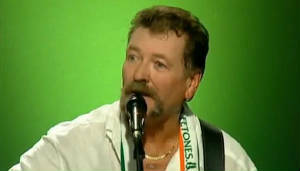 The Wolfe Tones Song Lyrics And Guitar Chords. 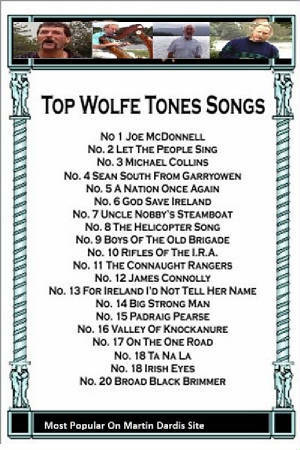 These are the songs that have been written by The Wolfe Tones or are associated with the group. 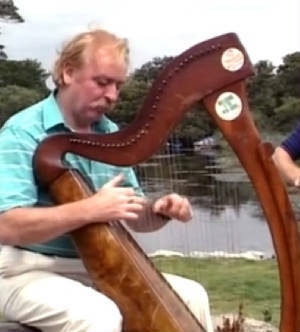 There are other songs on other sections of the site that have also been recorded by The Wolfe Tones but have been recorded by other bands as well. 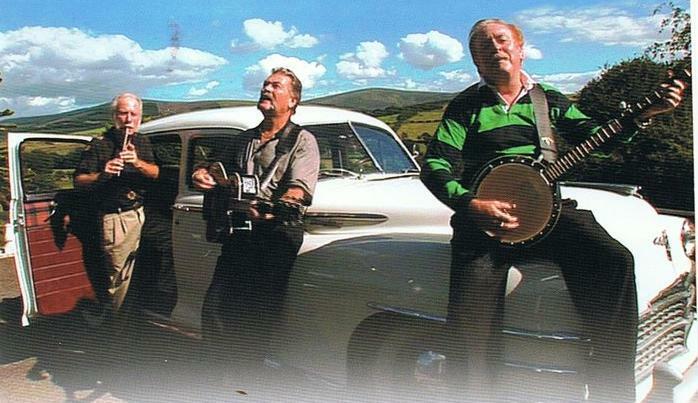 For example The Merry Ploughboy has been covered by The Dubliners, Johnny McEvoy and others, so you will find plenty more lyrics and tablature that have been recorded by The Wolfe Tones in the A-Z section. Most of the lyrics here are by Brian Warfield who is the main songwriter of the group and also plays 5 string banjo and sings, Tommy Byrne plays acoustic guitar and sings the big powerful ballads, while Noel Nagle also sings and plays tin and low whistles. 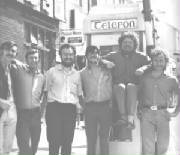 more information on the Wolfe Tones at the following links on the right. The latest news is that I am currently writing songs and working on a new CD which we hope to have in time for Christmas! We will be giving all our members the opportunity to get it before general release. It will be a special version of it just for you, more about that in the next newsletter. The new C.D. is now on sale, the title is Child Of Destiny, the tracks included are - Swing A Banker, The Cliffs Of Moher, Hibernia, Child Of Destiny, Uncle Nobby Steamboat, Siobhan, Anne Devlin, Moonbeam, The Celtic People, My Green Valleys, John O'Brien, Champion Of Champions, The Merman, The First Of May, Big Brother, Who Fears To Speak Of 89, and Admiral William Brown. We are also working on a documentary, see the promo of it below Copies of this will only be available through the website so make sure all your friends join up and get this exclusive DVD. Tommy was right, there are over 1,300 folk songs on this site, there's more chance of winning the lottery that any two of these songs getting played on our radio stations in a row. If you have a story about The Wolfe Tones and want to share it, send it to me to be included with one of the songs. It can be about anything you like, maybe you met The Wolfe Tones or sang a song with the lads, it could be about how the group inspired you to sing and play rebel songs on guitar or banjo. If you know of a radio station that plays Wolfe Tones songs let me know the details to be published here, thanks. has more lives than a cat. and I sat back to listen to the Brace Wolfe Tones. is one of the best, if no their very best. and the songs are sung with great gutso and love. The Piper, The Mairmaid with his fishy tail. Sargeant William Bailey and Admiral William Brown. to the rest of the songs. Joe Clarke, Joe the hero of The Battle Of Mount Street Bridge. own expence a booklet ''The Story Of The Catalpa''. of neglect and deliberately erased it from their education. songs of our time, stories of our past and warnings for the future. story of their land and a fair deal for the future. The Wolfe Tones have been asked by many of our fans on Facebook and Twitter to bring out a song to rally the Irish people and help them in their resolve to meet the difficult challenge ahead. 'A Nation Once Again' was suggested and I think it's a great idea. The problem is radio exposure, we need our stations to rally behind it too and they mostly have left behind the Irish ballad and The Wolfe Tones during the so called Celtic Tiger years in their rush to become global. Many of the values held and built up by the Irish people over the years have been left behind and forgotten. A drug culture prospers and cocaine and dope replace the traditional pint in the pub. Laws were passed that criminalises people for having an evening dinner and a bottle of wine out with his wife and family while life has become cheap as drug gangs take over our streets. Rural Ireland is devastated as people are held captive in their own homes by these draconian over the top laws. The Irish session in the local is almost extinct except in some tourist areas. A whole way of life was rubbished in the rush to Europeanise everything. Laws that suited other European countries with highly developed transport systems cannot suit rural Ireland or the Irish way of life. Now the Irish people must seek change, we cannot leave things as they are, let's take back our country, we must make our voices heard, we must vote out all sitting members of the Dail and put in all new faces regardless of party. It will shake the hell out of them. We need real change, it's no use just changing parties for Government, we must send a new group of people there and all old faces must go. They are responsible, they are all part of the system that watched over the disastrous policies. . They say that history repeats itself and if you read Irish history you would know that the so called Famine in Ireland almost wiped out all the old Irish customs because of the devastation, the starvation, disease, death and emigration. The aftermath of these catastrophic years brought despondency which obliterated almost all things Irish, the language, the music, the folk lore and a whole way of life. The succeeding generations rushed to anglicise [as they have done here in the past decades], discarding everything of value in Ireland in favour of an imported culture. A snobbery entered the hearts and minds of the Irish who embraced English ways and customs and all things Irish became second rate and repugnant to them. It took generations of our people to regenerate an interest in our music, language, dance and traditions until once again the Irish saw the beauty in their own music and song. Now I believe we have learned little from history because it keeps repeating and once again our ballads, songs, music and traditions are given little support while the imports are given preference and priority. I put my faith in the young generation who I believe will embrace the traditions and values of their country and are proud of the land that past generations have fought and died for, and the traditions that they cherished for centuries.